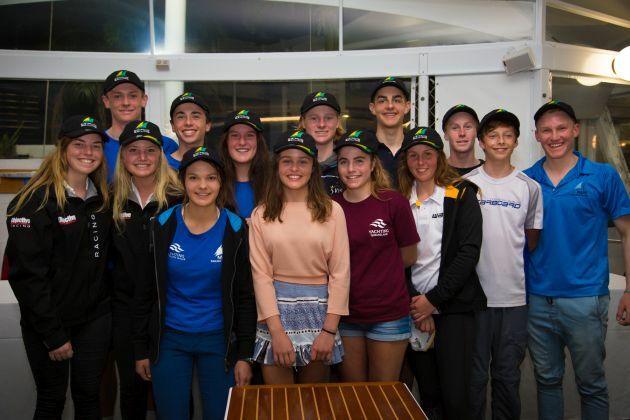 Australian Sailing has announced the 2016 Australian Sailing Youth Team, who will represent their country at the 2016 Youth Sailing World Championship from 14-20 December at Torbay Sailing Club in Auckland. The group who have qualified are all ‘first-timers’ at the Youth Sailing World Championship, and will be vying to defend the Nations Trophy, which was won by the Aussies in 2015 in Langkawi, Malaysia. The Olympics is a common goal for many of these young sailors. Queensland Youth Week, which was held in light conditions from 1-5 July at Royal Queensland Yacht Squadron, was the final qualifying regatta for the Australian Sailing Youth Team. Jaime Ryan and Ashley Stoddart from Australia’s Rio bound Olympic Sailing contingent conducted the presentation of trophies at the event. The team is still to be ratified by the Australian Sailing Board.